Instant effect – beautifying the landscape! Grassland Farms Sp. z o.o. 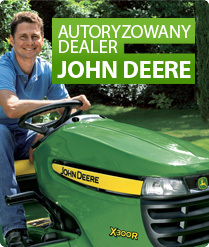 is a company founded in 1997 and located in Kiączyn near Kaźmierz Wlkp, about 30 km west of Poznan. 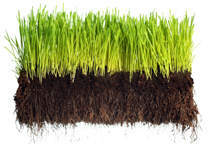 Our main business is the sale of turf grass grown in accordance with the Canadian technology that has been tested for over 50 years and with the use of the Canadian and American seed blends on an ever increasing farm area. We are the Polish representative of the biggest world organization of turf grass producers, the TPI (Turfgrass Producers International). One of the companies we constantly cooperate with is ORBIT Irrigation Products Inc., a world leader in watering systems. 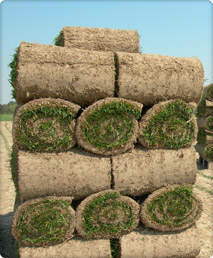 Another such business partner is Kesmac and Brouwer Inc., a great manufacturer of turf production and care equipment. Grassland Farms Sp. z o.o. also brings you some of the best garden fertilizers available mostly in North America and manufactured by AGRIUM AT of Canada and USA. We carry their superior line of mineral slow-release fertilisers. In our constant search for the best gardening products, we have recently started importing from the U.S. some of the highest quality grass seed carefully selected and supplied to us by Jackin Seed. Our experience in the „green industry” sector is continuously increasing and we are proud of our long list of satisfied customers – from individual gardeners to enormous corporations. Our motto is the clients’ absolute satisfaction and our mission is to always strive for the highest standards.